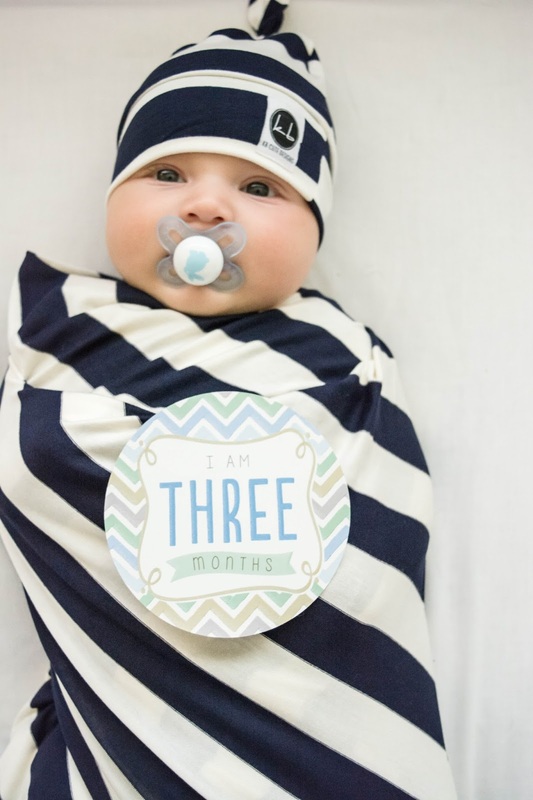 Valentina Riches : Mason's 3 month update! Can you believe that it's been three months since I had my precious Mason. It is extremely bittersweet! I love seeing him grow and learn new things whether their big or small! He keeps getting cuter and cuter by the second and I am loving every moment of being his mom and of course learning everything it comes to being a mom! 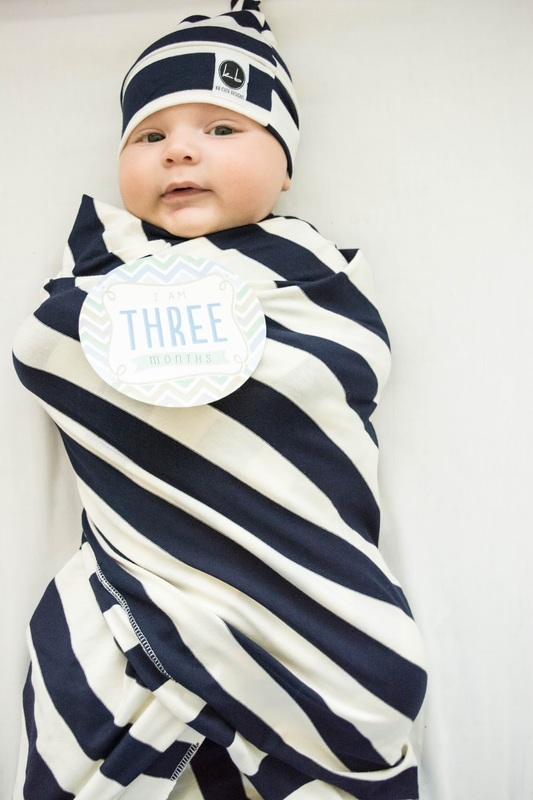 The last time I posted was Mason's birth story, so I do apologize for not documenting this but let me fill you all in on whats happen since his birth and of course him turning 3 months old. Mason has been a calm boy since he was born, like people are shocked by how quiet and mellow he is. I tell Rex (my husband) that we truly are blessed with an amazing boy! He only cries when hes hungry, tired, or has a dirty diaper. Since a few days after he was born he only has woken up mommy and daddy once a night; for his feedings and on rare occasions twice a night. Again we truly feel blessed to have this little miracle. My husband and I have said just you wait, the next child will be the complete opposite haha! Mason slept and slept in his first month , he loved meeting all of his family member and getting spoiled with love by his grandparents! His second month Mason gained some weight!! I mean a lot!! His baby roles ahhh there so chunky!! He learned to put his hand in his mouth and even tries to put his whole fist in, (good luck buddy). When Mason was more he hand dark brown hair just like mommy but in month two, his hair started getting lighter and lighter just like daddys! I bet he ends up having light brown or dirty blonde hair?! Who knows right?! For his two month appointment the doctor was really shocked how well mason could hold up his head, this little guy is strong and loves lifting himself up with his legs (while making a flexing hand gesture haha) Now unto month three!! Mason has grown so much everyday I am more and more amazed as to what babies can grasp and learn!! Mason has learned to recognize his hands, its almost like he's thinking "oh hey, what are you" both him and us are both entertained by it. He also loves when daddy and mommy call him chubby, I mean the smile is huge haha. He is loving bath time more and more and loves holding his rubber ducky and putting it in his mouth. He has also learned to hold unto objects in his hand and put them in his mouth. Mason loves snuggle time with us and loves smiling!! He loves cooing and talking to us, we also love it to because now hes trying to communicate with us, and those baby coo's are seriously the cutest! He mostly loves tummy time and what I mean by that is he loves it until he's been on his tummy for what he thinks is a while and then wants to go on his back. I am loving seeing this little guy grow more and more (even though I will always miss the little newborn he was) , I cant wait to see what Mason learns in this next month, and oh mom is already planning our family Halloween costumes and looking forward to all the Fall snuggles! Also look at this cute swaddle set Mason got from KB Cute Designs, as you can see it not only is cute but Mason instantly fell asleep after taking the photos below, it is hand made, extremely soft and cosy and she not only makes swaddle sets but crib sheets, beanies, headbands, changing pad covers and much more! Go take a look at her cute shop!